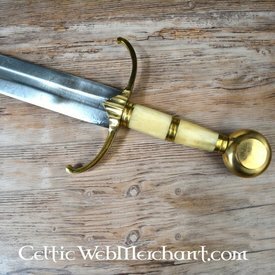 This is a replica of a medieval hand-and-a-half sword from the 13th-14th century. 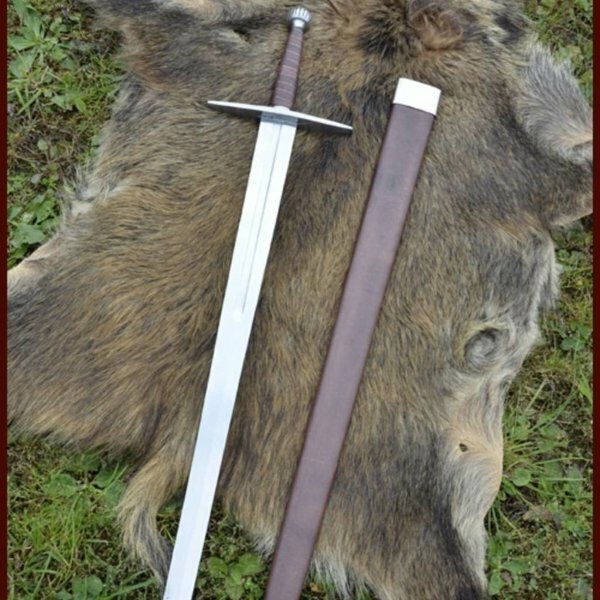 The sword is 116,5 cm long, with a blade of 92 cm long an maximum 57 mm wide. 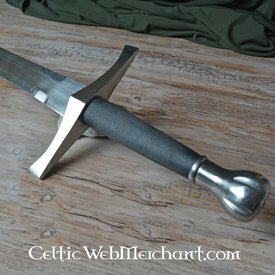 The fuller runs to half of the blade. 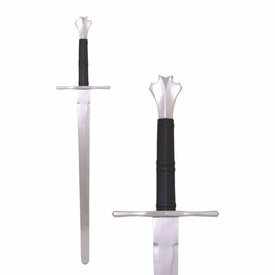 The blunt blade is made of carbon steel with a Rockwell hardness of 48-50 HRC. 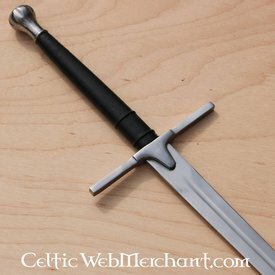 The point of balance lies on 15 cm below the guard. 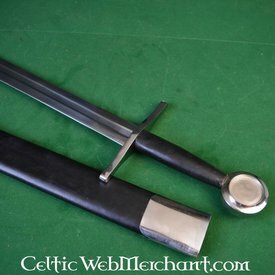 The pommel and guard are from steel. 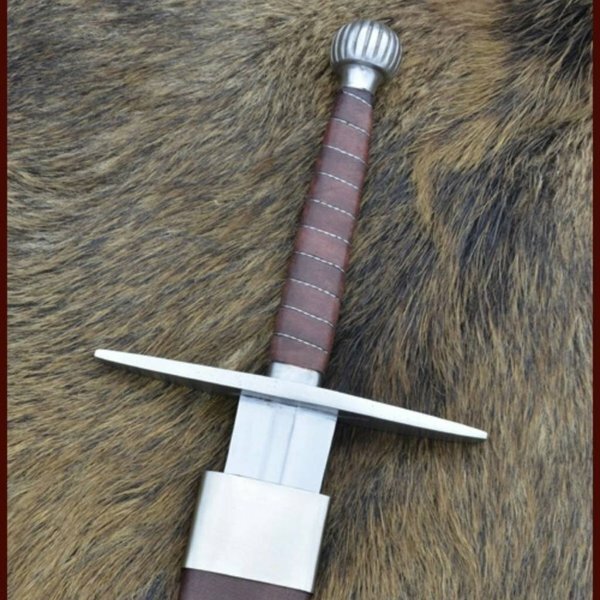 The sword weighs 1,7 kg and is delivered including wooden, leather covered scabbard. Deepeeka made name with their beautiful classical helmets and equipment. 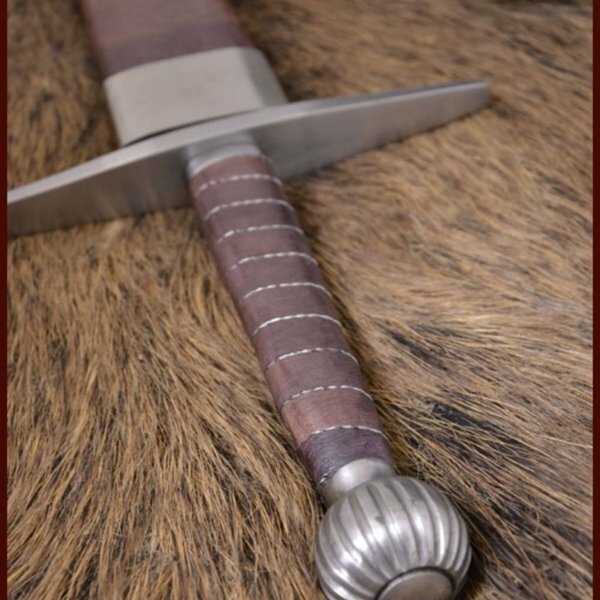 Besides, this Indian factory produces (early)medieval semi-sharp and battle-ready swords. With their blades of 48 to 50 HRC, these models are well suited for re-enactment. The flexibility and balance enable them to be used intensively. 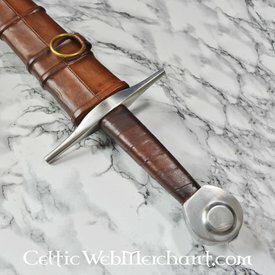 The swords are a mix of historical accuracy and user friendliness and are definitely worth the price. 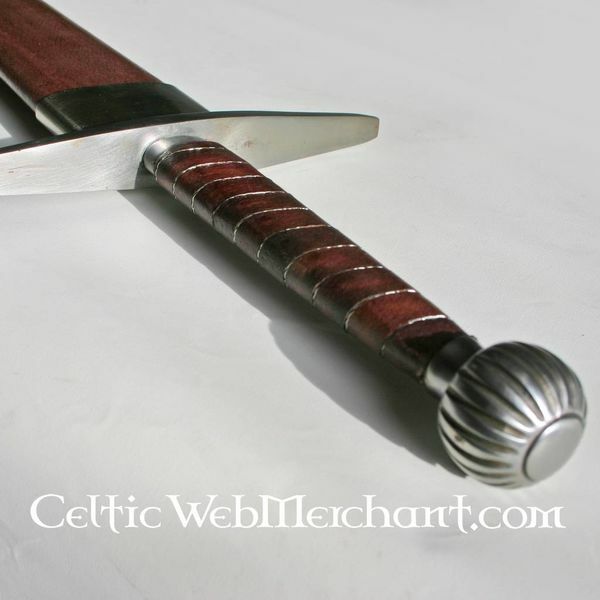 The swords are delivered with luxury scabbard. 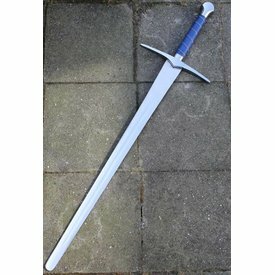 Geweldig zwaard sinds gister binnen en gelijk gebruikt. Zwaard ligt heerlijk in de hand en een geweldig mooie schede.